This little slice of sushi heaven is a sushi lover’s dream filled with a variety of items to choose from on the menu. Sure, the exterior of Sushiholic doesn’t say much. However, the wide array of creative and unique sushi dishes at this intimate and warm sushi set up that is characterized by friendly staff and sociable chefs is truly an experience. While Sushiholic is still relatively new to some people in the neighborhood, it has quickly consolidated itself and its reputation in the 40th Street dining area of Camelback. 40th & Camelback. As the city of Phoenix has expanded the Camelback corridor remains the vortex of excellence in the valley. Camelback mountain, the canal, and Piestewa Peak all converge within a mile of this place. The annual Rock-n-Roll Marathon passes by this intersection. There’s a lot to do in the area, and this part of town is packed with restaurants. So if someone wants to open up a food joint it had better be good or it won’t last. Sushiholic is one of those places that is going to stick around for a while. It’s really good, and the area is grateful for its beautiful food. Living anywhere close to 40th & Camelback, we long suffered from a shortage of delicious sushi restaurants so most people only end up eating sushi as a treat. Furthermore, since we are situated in a landlocked state, finding fresh seafood is harder than you would think. 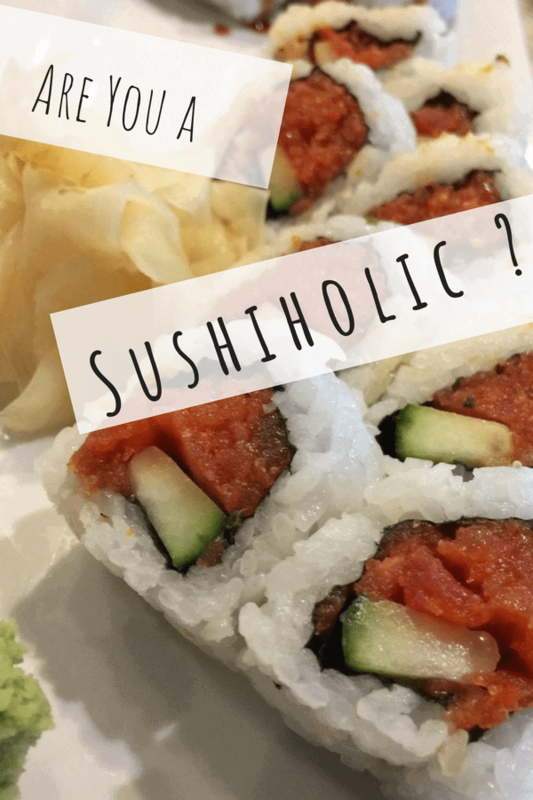 What’s so great about Sushiholic is that although sushi has a bad rap for being ridiculously expensive, everything on offer here is so reasonably priced that you can afford to eat every day at Sushiholic without breaking the bank. When you walk in Sushiholic, the interior is quite well organized despite the limited space. The dining features about 7 high top tables, 10 regular tables, and booths, as well as seating at the counter. There is also extra seating outside on the patio for anyone that prefers dining outdoors. Of course, if you want the best view in the house, consider arriving early so that you can get your spot at the sushi bar where you can enjoy a live show of chefs slicing with finesse and creating rolls by hand. The standard starters that you would expect any sushi place to have such as miso soup, seaweed salad, edamame and calamari tempura are on offer. The menu also includes an assortment of rolls, many of which are sushiholic specialties. Highlights of the specialty rolls include deep-fried rolls like the Chimichanga Roll, the Guilty Pleasure Roll, the Bagel Roll, filled with crab, cucumber, cream cheese, avocado and a topping of fresh slices of salmon, and so many others. Shareable appetizers such as shrimp tempura, calamari, crab puffs and jalapeno poppers are also available for anyone that is not a fan of raw food. If you do not feel like seafood at all, you can also indulge in some other options like yakisoba, udon and ramen bowls whose portions are almost too much, as well as a number of offerings ranging from vegetable to beef and chicken dishes.